The Spanish Association of Wine Journalists and Writers (AEPEV), in the VIII Edition of the Best Wines and Spirits Awards of Spain, has chosen Habla del Silencio as Best Red Wine of 1 and 2 years. The award has been obtained in a double-round vote in which more than 90% of its members have taken part, which have had to decide among the 1055 brands proposed in the first phase of the contest, of which they happened to the end a total of 143 wines. 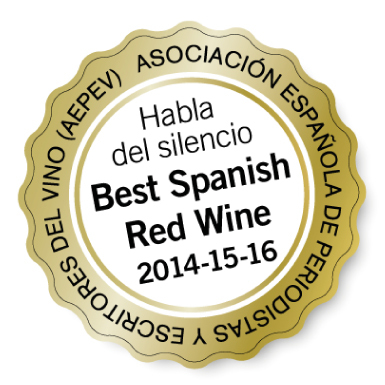 Habla del Silencio was already recognized in 2015 by AEPEV as Best Spanish Wine of all presented, in all categories, and was also awarded last year as Best Red. This new award continues to prove, year after year, the work of Bodegas Habla in its commitment to excellence.